It's 2017 and people are super excited about "The Great North American Eclipse." Im gonna have a Kanye moment and say, 2017 Imma let you finish, but the 2024 Eclipse will be the Greatest Eclipse of all time. Not because it can be seen from Texas... But because totality will last almost 5 minutes there! 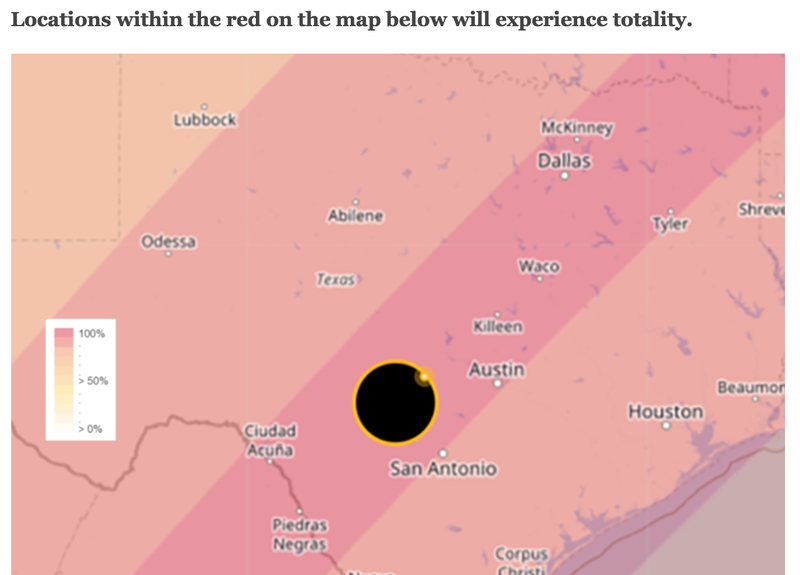 Plus, all of hill country falls in the path of totality, how amazing would it be to watch this from Marfa? Ok but seriously, it's Eclipse day and I will be working from home. The news and co-workers made it seem like traffic will be insane, so I want to avoid as much as possible. An email was sent that basically gave everyone the Ok, so I am ready to work from home! I will be taking a break to see some of the eclipse from my living room, but in all honesty its not my cup of tea. A lot of people are getting camp sites to see this thing... and that's just not for me. It's cool that temperatures drop and all of the other weird phenomena that happens... I'm just not super excited about it. It is cool the band of totality is 70 miles wide! That is so narrow, so it is cool to be a part of that. What is totality? That means total eclipse. Most locations will only be able to view a partial eclipse, they will not see the moon fully in front of the sun and will not experience the sudden drop in temperature... even animals wake up thinking that it's night time, day birds become quiet as well because they think its time to go to sleep. It's crazy! 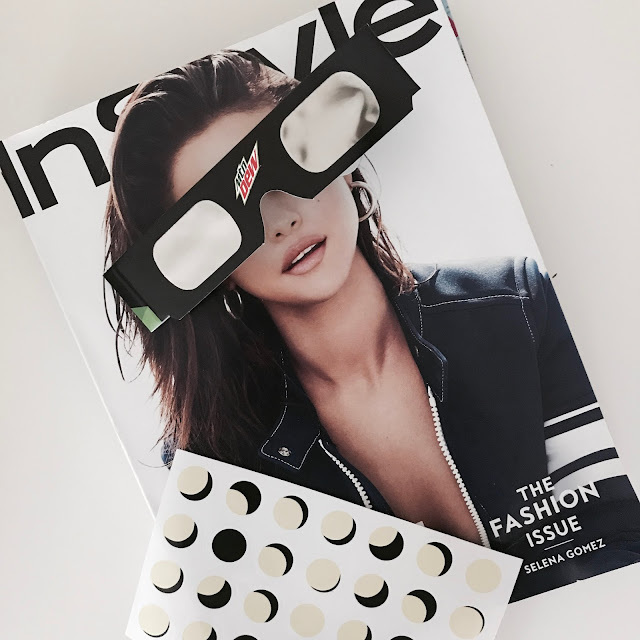 Be sure to use your eclipse glasses if you want to view this event! You really can damage your eyes, your eyes lack the sensory that lets you know that they are being damaged or hurt... so it will be too late when you notice the effects. Keep your glasses on until totality and put them back on as the moon starts to move back.